Dimensions: 747 x 84 x 44 ft.
Service: Built for Union-Castle Line (British flag). Southampton-South Africa service. 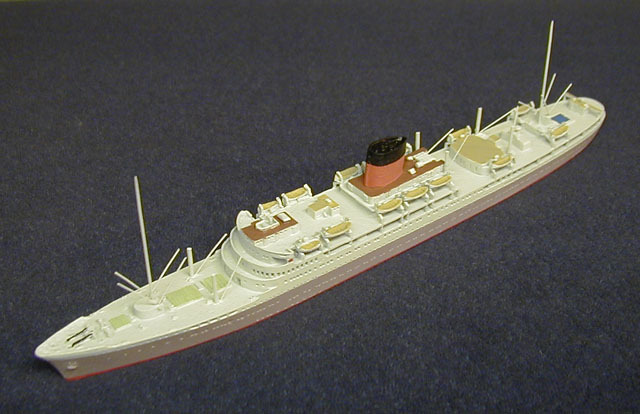 Transferred to South African Marine Corporation (Safmarine Lines), 1966; renamed S. A. Oranje. Transferred to South African flag, 1969. Made 187 voyages and never missed a sailing, carrying over 250,000 passengers. Scrapped on Taiwan, 1975. Sister Edinburgh Castle.